Perhaps the most depressing film I have ever seen. Moving, sad, and personal, it invaded my mind for days after viewing. 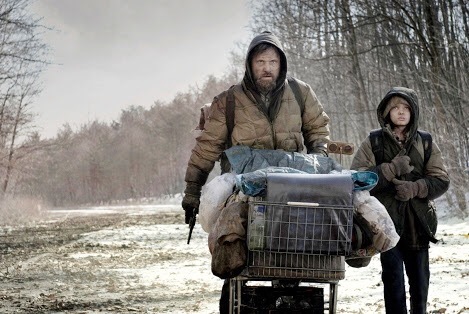 The tragic father-son relationship played by Viggo Mortensen and Kodi Smit-McPhee (who would later reprise a similar vulnerable innocence in the excellent Slow West) is wonderfully realised. We never know their names, they are simply Man and Boy, and their anonymity is brutally portrayed as they make their way through a world lost. The Road is a parable of our post apocalyptic fears and it strikes a chord because the premise is a genuine possibility for humanity. A remarkably unique documentary that accounts the Indonesian genocide of 1965. 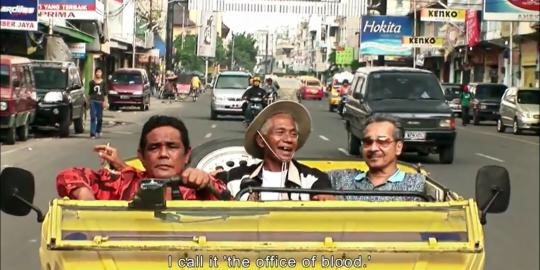 Having somehow located the genocide’s death-squad leaders (who are now living normal lives in Indonesia, and yet to be brought to justice), director Joshua Oppenheimer, convinces them to re-enact their mass killings under the guise of shooting a Hollywood styled feature film. Oppenheimer presents his subjects with an uncomfortable lightness and humour which is at odds with the subject matter at hand. This juxtaposition only serves to ratchet up the unease as the film progresses. Interesting things begin to happen when the main subject enacts the part of the victim … the result is surprising and disturbing. A chilling reminder of what atrocities every human is capable of. Whereas The Road suggests a future world where humanity’s deficiencies have prevailed, The Act of Killing underscores similar frailties that have already happened in our past. Both films illustrate the very real and brutal side of human nature. This dark side of humanity is unfortunately all too common when certain conditions are present, and I believe we need to be reminded of this every so often. Hence, I consider these films as essential viewing. Imagine if modern film equipment was transported back to the golden age of eighties adventure films (think ET, The Goonies, and Close Encounters of the Third Kind), and fell onto the lap of … say, Steven Spielberg. The result wouldn’t be too different from what director J.J. Abrams has delivered here. Super 8 is a film that doesn’t scream “look at me I’m reprising the eighties”, but instead is a master class in nostalgic adventure. It successfully delivers what the recent misfires from the Indiana Jones and Star Wars franchises didn’t. By no means perfect, Super 8 threatens to become just another misunderstood monster flick … although, weren’t many films in the eighties just that? With nostalgia kicks this good, I am confident that Abrams can deliver the new Star Wars film that every 40+ year old has been yearning for. Roll on December! After the hullabaloo a few years back, I thought it time to finally visit the massive box office bomb that was John Carter. Was it simply a victim of poor marketing? Nope. It’s a bad film. Don’t waste your time.